WHY: To innovate and improve events you need a tool. EventCanvas is a strategic management template to design events. The EventCanvas provides a common language for events which allows you to have a meaningful conversation with all parties involved, from event owner to supplier. A tool to design better events. WHAT: The Event Design Certificate Program is an immersive three-day training course that will innovate the industry by teaching a systematic 10 step visual approach to event design for meeting professionals. 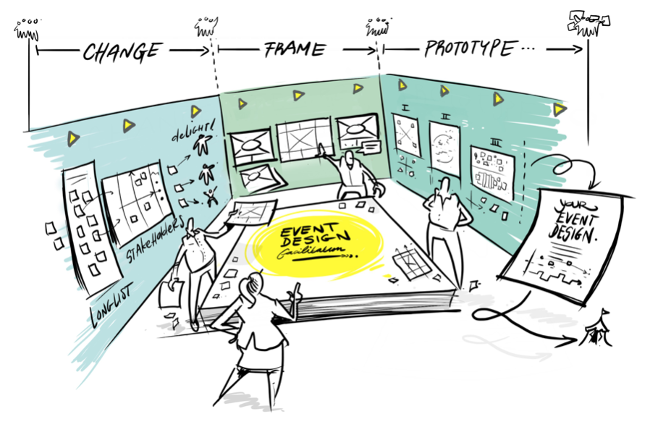 Program participants will learn critical skills that will enable them to design events based on stakeholder needs and then prototype event designs using the #EventCanvas, a strategic management template for developing new or documenting existing events and conference models. - Using the #EventCanvas to document / design your case study - 6 months to complete an #EventCanvas of an existing event with support of the #EventCanvas trainers online to achieve the EDC certificate of achievement and use the CED acronym as a designation -Post program online case study review session All successful program participants will be granted 24 continuing education clock hours in Domain G: Meeting & Event Design as defined by the Events Industry Council (EIC). Class sizes for the Certificate in Event Design Program will be kept to a maximum of 25 candidates to provide for maximum interaction, learning and networking opportunities.